Angelina Jolie Is Coming To Cambodia. Maybe You Should Too. Home News & Analysis Asia Angelina Jolie Is Coming To Cambodia. Maybe You Should Too. Investors wary of ongoing turmoil in emerging Asian markets would be well-advised to look closely at Cambodia. Last week, the Asian Development Bank updated its forecasts for the Southeast Asian nation, with growth estimates of 7% in 2015 and 7.2% in 2016 driven by manufacturing, construction, and tourism. Some companies are already ahead of the curve. 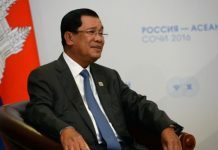 HLH Group Limited, a Singapore holding company, announced in June 2015 that it would divest its remaining assets in Singapore and focus exclusively on Cambodia. Then, on 25 September it launched a new real estate development venture, CAMHOMES, focused on public housing in the country’s urban centers. The announcement was apparently the first move in HLH’s broader investment plan involving the development of 5,000 units spread across Phnom Penh, Siem Reap and Sihanoukville over the next two years. While most foreign developers entering Cambodia have focused on the luxury real estate market, HLH is targeting the affordable segment catering to young local couples and entrepreneurs. 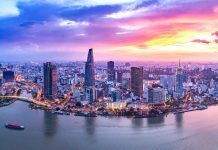 Property consultancy company VPC Asia Pacific expects prices to rise by 10-15% annually in the coming years Cambodia also expects to receive an economic boost from the formation of the ASEAN Economic Community – an EU-style common market – at the end of 2015. A pending Hollywood feature may also put Cambodia’s tourism industry on firmer footing. Angelina Jolie visited the country last week to scout locations for her next film, First They Killed My Father, which will begin shooting in November. Previous articleWill ‘The Somali Model’ Help South Africa Avoid Recession? Next articleHave Glencore And Zambia Both Hit Rock Bottom This Week?